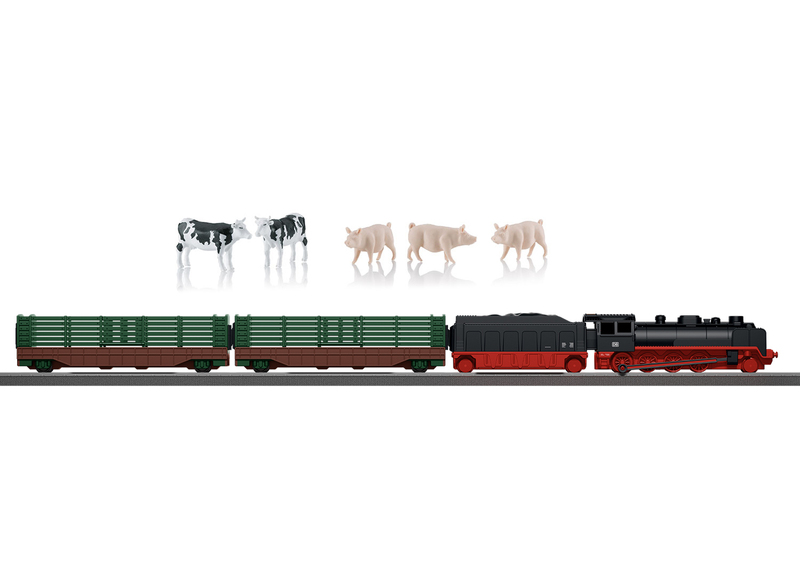 Prototype: Freight train consisting of a steam locomotive with tender and two animal transport cars. Newly developed, battery-operated steam locomotive with a tender, a headlight, steam, and sound functions. 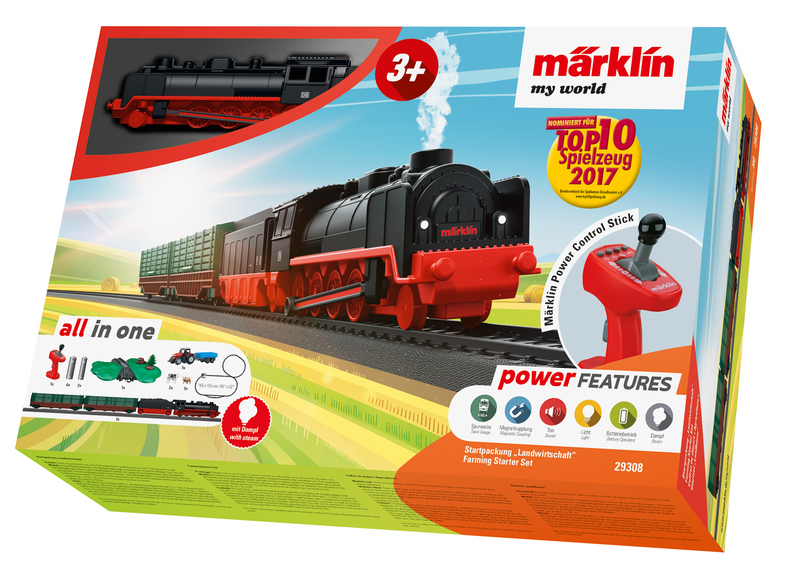 The infrared Märklin Power Control Stick was designed to be held easily by children. Batteries and accessories for added play value included . Model: The train has a battery drive and magnetic couplers between the individual cars. The locomotive and tender are a permanently coupled unit with a built-in battery holder. The locomotive has 3 speed levels in forward and reverse, 3 sound functions, and dual headlights. In addition, the locomotive has a water-based smoke generator so that the locomotive can steam from the smoke stack. Train length 57 cm / 22-7/16". Contents: The set has 21 sections of curved plastic track (R1), 7 sections of straight plastic track (length 171.7 mm / 6-3/4"), 4 sections of straight plastic track (length 188.3 mm / 7-13/32"), 2 sections of curved plastic track (turnout curve), 1 left turnout, 1 right turnout, and 1 crossing. 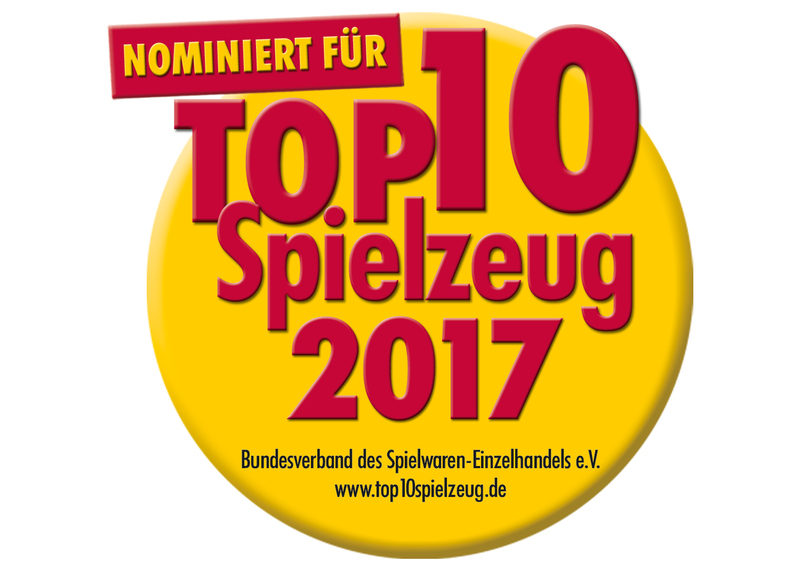 An easy-to-use Märklin Power Control Stick is also included. 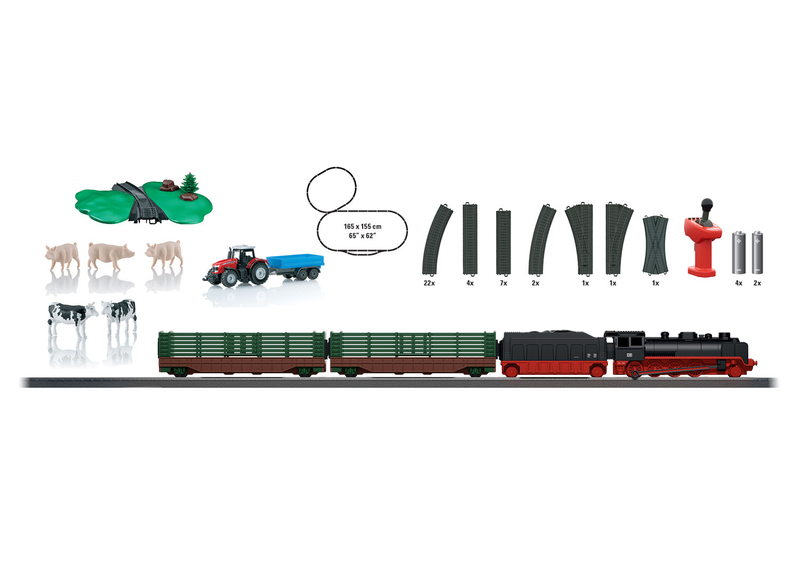 Different farm animals, a rerailer, a model of a tractor, and 4 AA and 2 AAA batteries are included with this set. This set can be expanded with the 23300 Plastic Track Extension Set. The train can be operated with 2 different frequencies (I/J) thus allowing a second battery-powered train to be added. This starter set can be expanded with the Farm (item number 72212) into a fun-filled farm themed play world. b Digital locomotives or digital device for the Märklin Digital System (Motorola format).